Jurgen Klopp has revealed that Manchester United were tracking the German coach for 18 months but a move to Old Trafford “didn’t feel right”. The 50-year-old is rated as one of the top managers in Europe thanks to the success that the charismatic manager enjoyed during seven seasons in charge of German side Borrussia Dortmund. Indeed, Klopp won two Bundesliga titles, the German Cup, two German Super Cups and finished as Champions League runners-up during his decorated spell in charge at the Westfalenstadion. 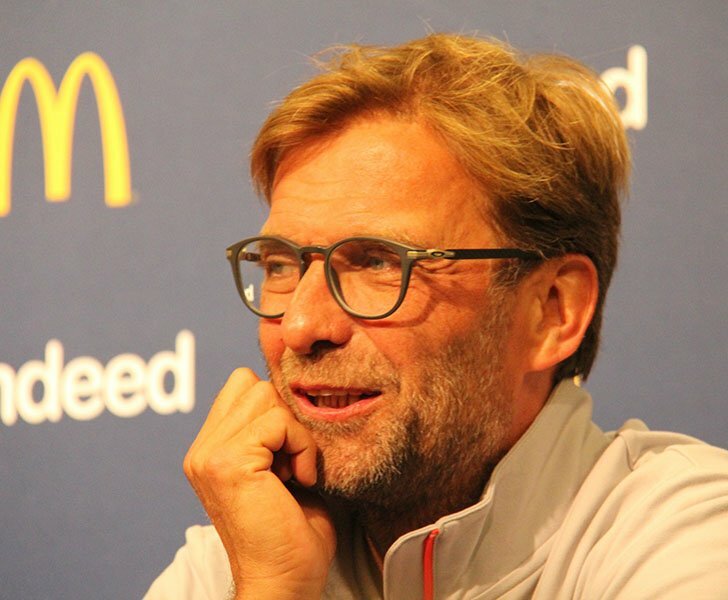 Klopp called time on his Dortmund career at the end of the 2015-16 season to prompt talk of a move to the Premier League given the well-documented struggles of Arsenal and Manchester United. However, Liverpool FC swooped to appoint Klopp as Brendan Rodgers’ success in October 2015 to end talk of a move to the Merseyside outfit’s bitter rivals Manchester United. Red Devils legend Sir Alex Ferguson has spoken of his admiration for German in the past, adding that he is worried about Klopp’s potential to deliver success at Liverpool FC. Klopp opened up about Manchester United’s interest in securing his services before his move to Liverpool FC but reassured Reds fans that taking over at Old Trafford was never a realistic option. “Yes there was interest – Manchester United, yes they were interested a year or a year-and-a-half before, but it didn’t feel right,” Klopp told Sky Sports. “I couldn’t say Man United is not my club, it didn’t feel right.